As part of our continued focus to provide quality precision parts to manufacturers, we continue to grow our capabilities based on building long-term relationships, and delivering on our customers’ needs. Whether your project requires the close tolerance that only experienced operators on high-performance CNC laser equipment can provide, or if the project calls for flame cutting thick steel – We do this and most in-between. Among the many industries we serve, our customers in Automotive, Road Truck, Tractor Trailer, Agriculture, Mining and other industries, rely on us to provide suspensions, beds, bodies, dozers, and much more – We make it easy to get your efficient project estimate on this website. 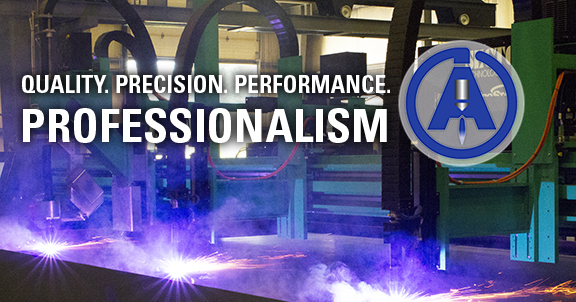 We are an ISO 9001: 2015 Certified company with more than 50,000 square feet (and growing) devoted to a combination of laser, plasma, flame cutting, and exceptional metal forming capabilities as well as shot blasting. We are ready to become your professional partner for outsourced parts production in 2019!